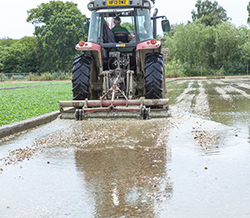 Until the mid-1950s watercress was predominantly a winter crop and to support this there were farms operating up to ten times the area of production that exists today. This is because the crop grows slowly during this period compared to the faster summer period. This winter production suited the farms as they often dried up in the summer. Over time many farms became unsuitable for production and became redundant or sold for development. 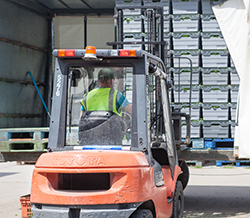 This left a reduced area and with a desire to move away from the disease issues created from vegetative propagation the industry moved to a more reliable and successful system of propagation from seeds. TWC produces all its own seed and this is key to our security of variety ensuring optimum resistance to pest and disease. Harvesting has become mechanised with custom built machines which both harvest and remove contaminants. The process now is a far cry from the back breaking hand harvesting which was the reality for many years. The cleaning out is now done with a tractor and we have also recently mechanised fertiliser applications to increase efficiency and reduce inputs. Please follow the process below to learn more about how we grow watercress.